Destination Moon is dedicated to providing an immersive artistic experience with the smallest possible ecological footprint. Most of our shows are solar powered and incorporate music and visual art. Destination Moon began with a series of DIY parties at an apartment in Crown Heights. We’d invite bands to play, sell some booze and rock out. We had a blast booking shows and began considering how to scale up, but we were concerned about how much energy is used and how much waste is accumulated at larger shows. The answer was solar. Destination Moon has been throwing solar music and art festivals since 2013. 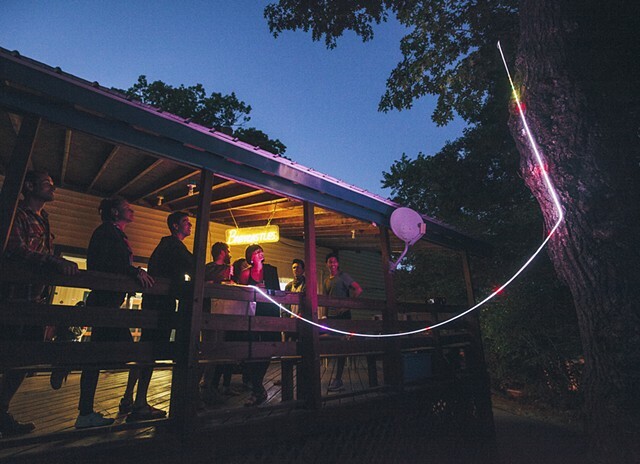 Our first multi-day festival was June 2016 at Camp Lakota where Jonah Levy curated the art installations.